Most people in the world drink coffee to help wake up and feel refreshed in the morning. However, they don’t often think about all the hard work that went into producing the coffee beans which made their coffee beverage. International Coffee Day is a yearly reminder of this hard work so that people appreciate their coffee more and stop taking it for granted. The holiday was officially established on October 1st, 2015, so there have been only three celebrations as of now. The 4th annual International Coffee Day will occur on September 29th, 2018. 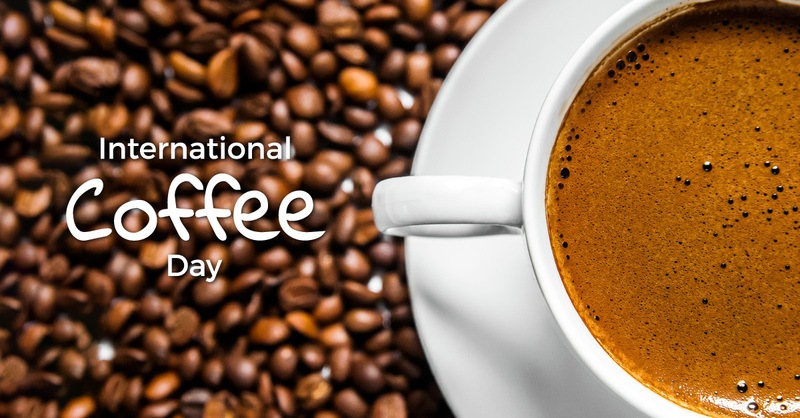 The International Coffee Organization was mainly responsible for this selected holiday. It is an organization which is responsible for the International Coffee Agreement. This is an agreement made between the nations of the world that consume and/or produce coffee. The main purpose of it is to maintain the market’s coffee prices and to ensure enough coffee is being exported from the countries which grow them. Basically, it prevents one country from dominating the coffee export market. That way, the workers in poorer countries are still able to make a living. There are several kinds of coffee beans available in different regions of the world. Their climate and geographical location have a huge impact on the taste of the coffee after it is brewed from the beans. In the Middle East, Turkish coffee is one of the most popular coffees available. That is because this coffee is brewed from coffee beans native to the area called “coffee arabica.” In fact, there are two variations of the color and taste of this coffee in the Middle East. While most Turkish coffee is black, the coffee made in the Gulf region and Saudi Arabia is more of a golden color. Another thing that makes Turkish coffee different is the brewing methods used to create it. Rather than filtering the coffee in a machine as they do in the west, Turkish coffee beans are boiled until it is black. There is usually no sugar or milk added to the drink either. The coffee is placed in a special cup known as a finjān. Turkish coffee has a very bitter taste, but that’s the way they like it in the Middle East. In the English language, we are used to saying “coffee” to describe the beverage that is brewed from coffee beans. However, people of other languages do not use the word “coffee” to describe this beverage. They have their own word to describe coffee. Here are some examples of how to say “coffee” in other languages. Kaffe in Swedish, and Kahvi in Finnish. As you can see, the words have a similar pattern in their pronunciation.